Continuously since 2009 Inspired Chiropractic has been awarded the Patient Partnership Quality Mark (PMQM) and Clinical Management Quality Mark (CMQM) by the Royal College of Chiropractors. Both are highly sought-after awards, received following an extensive and detailed consultation process. We have demonstrated that we provide a service significantly superior to that which is expected and provide safe and effective care. The industry award also recognises our commitment to both meeting and exceeding client expectations and providing excellence in our customer service. 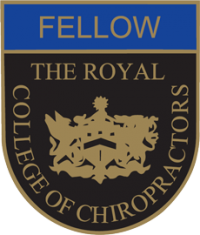 Dr Wilson (Doctor of Chiropractic) is an active member and Fellow of the Royal College of Chiropractors and is delighted to have received these prestigious awards. Our CMQM recognises excellence in terms of operating within a structured and managed clinical environment and our office has fulfilled these requirements in a range of areas. Dr Jonathan Wilson (Doctor of Chiropractic & Fellow of the Royal College of Chiropractors) has been recognised by the International Chiropractic Association as a Certified Chiropractic Wellness Practitioner. This type of practice allows the chiropractor to meet the needs of the client within the physical, nutritional, neurological and psychological areas. We offer evidence-based and philosophically congruent holistic wellness chiropractic. The human nervous system is the central controlling mechanism for our bodies. It is uniquely designed to detect and respond to changes in the: i) Physical ii) Chemical and iii) Psychological environment. Changes to these aspects of lifestyle and environment can bring about permanent and dramatic changes to health. Dr Wilson (Doctor of Chiropractic) is perfectly placed to help you make these changes.